Spotify and similar other players like Apple Music, Pandora, Gaana or Saavn thrive on largely 2 monetisation models- freemium content for monetisation, charging people for a subscription to provide them with premium content and additional features and secondly charging advertisers for ads to be shown in various ways across the platform. This monetisation model and the supremacy of Spotify is now challenged by a new player, Tencent music, which was started in 2016, and in just about 2 years it’s valuation has soared to about 28-30B USD. very similar to that of Spotify’s. 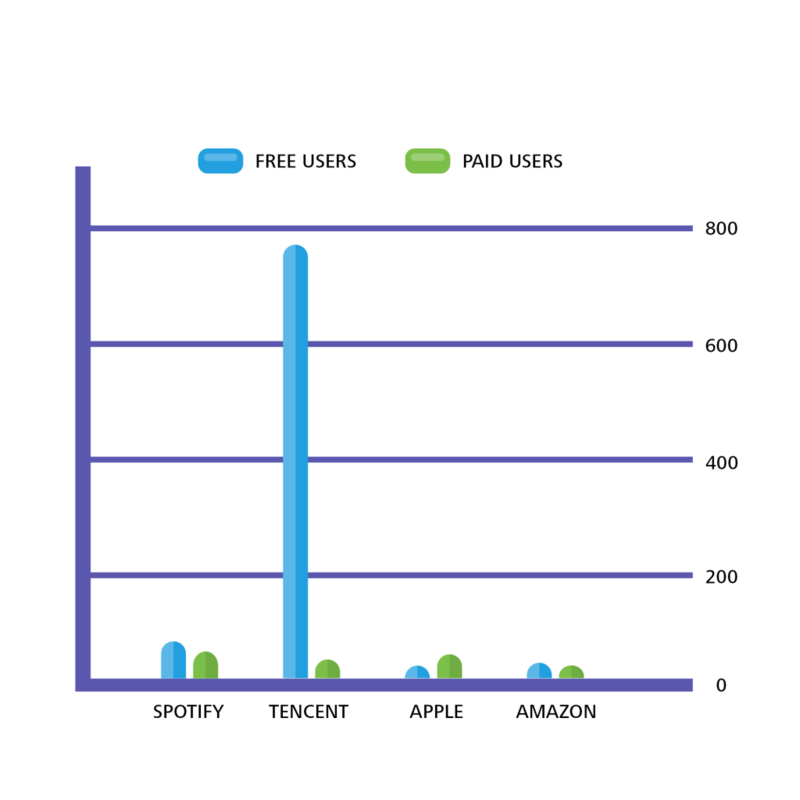 If you see the chart, you can observe that Apple Music has about 50m paying users, Spotify has about 70million and Tencent music has 30m paying customers. 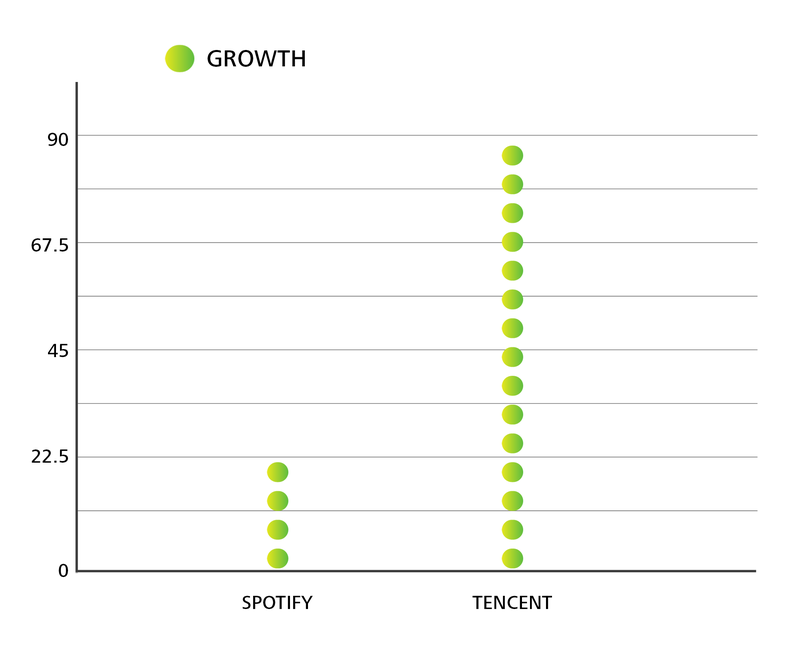 Now the interesting part is that not only this feat by Tencent achieved in just 2 years, but also that only 3.6% of its user base is paying vs about 46% of users of Spotify who pay. This illustrates the huge velocity of Tencent music and huge untapped potential. 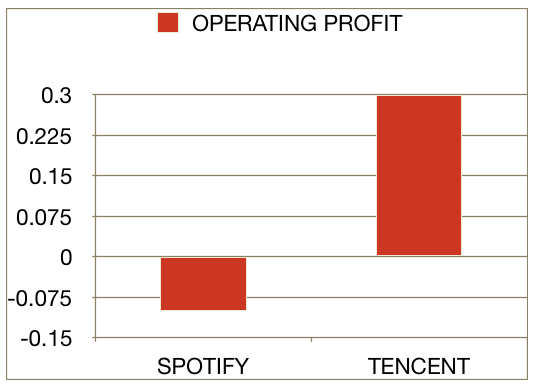 Let’s understand how Tencent Music monetises its platform. The point to be highlighted here is also that the core content (music) is the same across all platforms, hence one needs to be very innovative in thinking and forging a monetisation model. And that’s what Tencent Music is doing. Spotify, Apple and other players depend upon advertising and premium subscription for monetisation, but Tencent perceives the service as an ecosystem and hence wants to earn from various other modes. The core content is same across all platforms- so little differentiation. People, especially in China, are sensitive to how much they can pay for a song- Huge diversity in terms of the value of a song/music piece. 70% of the money that TENCENT EARNS (2018, 1st half year, revenues crossed USD 1 Billion) comes from Virtual gifts that listeners give to music stars or singers who sing via karaoke, and from premium karaoke tools, singing with friends, as well as by charging an access fee for live events streamed on the platform. Only 30% of there even comes from premium subscription and ads. The social engagement around music is what creates differentiation, locks value for users and creates a network effect. Spotify and other large players do not have a major differentiation in terms of content and they are not locking in user value- hence they face a danger of users easily switching and moving away from them in future to a competitive product. It seems that Tencent should not worry about competition from other music streaming companies, rather it’s real competitors are social platforms, who are eating away it’s users’ time and have similar platform dynamics at work. 1. 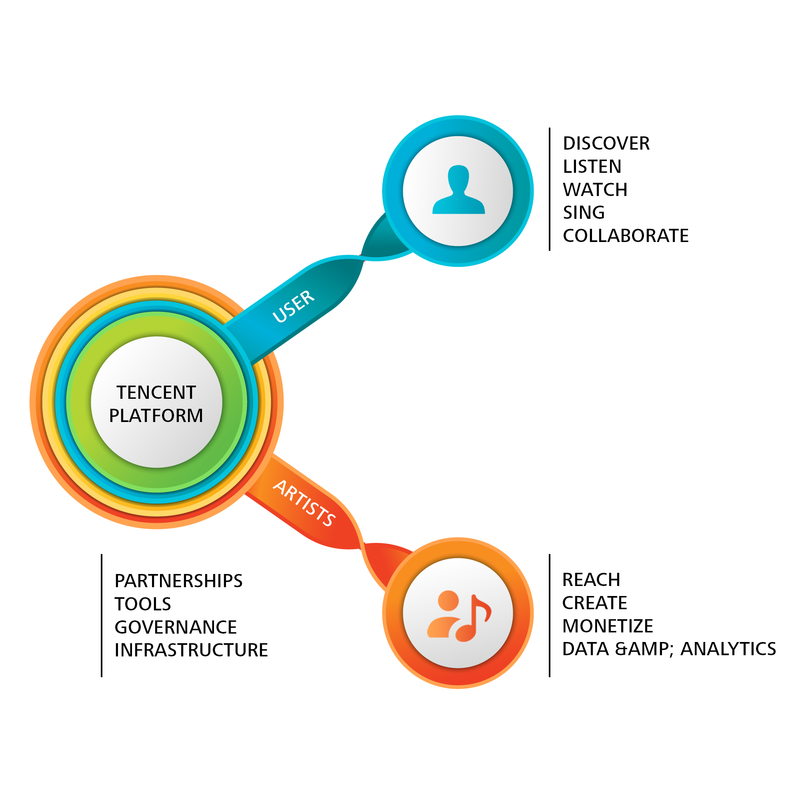 Tencent has built an ecosystem of apps, and together they integrate well and empower each other. 2. Tencent is focusing on locking user value by way of creating engagement opportunities around music content and hence increasing the switching cost for users. 3. Tencent has a huge untapped potential to monetise and grow, unlike the competition. 4. The backing of Tencent’s various other products like QQ and We Chat etc. 5. 10 years and 80 million users, and Spotify is still not in profits. Apple does not release the profit numbers but my take is that Apple is also in the same boat. 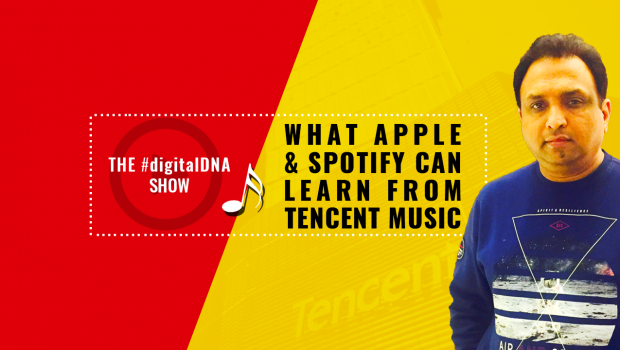 There is a lot to learn from Tencent for Spotify, Apple, and our own Gaana and Saavn.